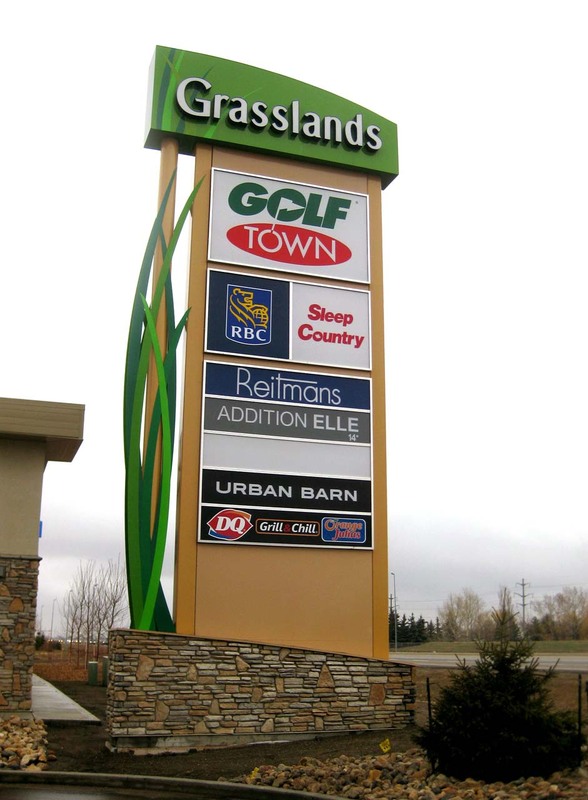 Electra Sign is proud to support such an incomparable design for Grasslands. This unique design is a site to see and it contributes in landmark location. The base was built to match the architecture and bring both as a unit. In addition to this, the blades of grass are custom cut layers of steel and coloured keyed to match the Grasslands logo for further consistency.